Available only in blue (outer color) and red (inner color). 1 1/4" by 2". Just one impression and you will appreciate its ergonomic handle and heavy duty construction. Deep molded date bands provide clean, sharp stamp impressions. Oversized band adjustment wheels prevent your fingers from contacting the date bands and make date adjusting easy. This stamp is perfect choice for your high volume stamping needs. 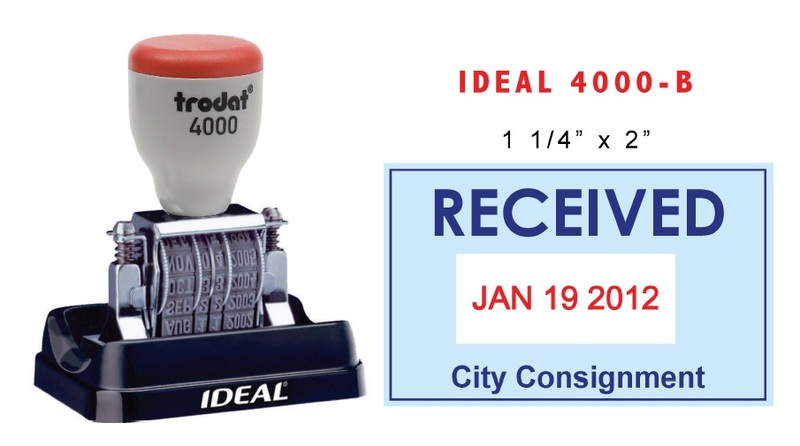 The Ideal P-4000 B also provides a convenient storage base. A rubber non-skid bottom keeps the ink pad in place on your desk.